“The only thing the market liked better than a hot young artist was a dead hot young artist, and it got one in Jean-Michel Basquiat,” the art critic Robert Hughes once said. Almost 25 years on from the artist’s death, the obsession with his work continues to grow, as for the second year running his work sold for more money at auction than any other contemporary artist. 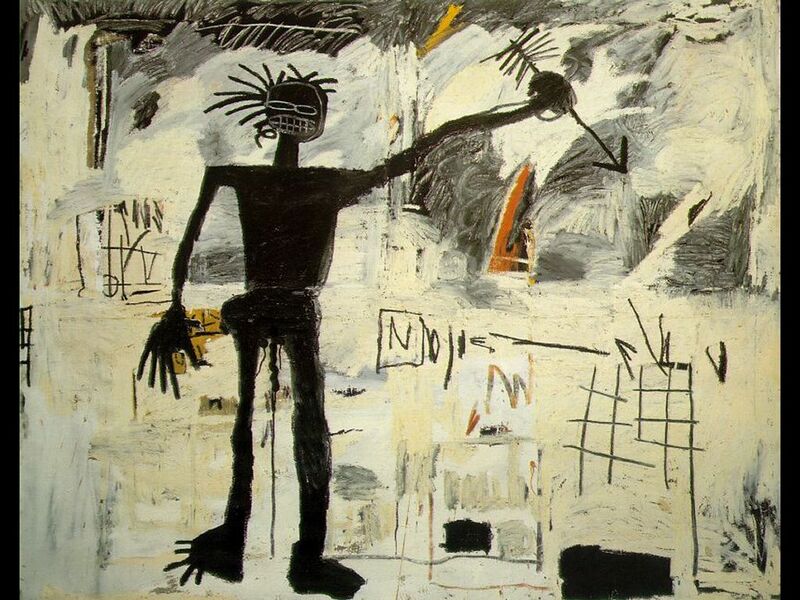 Basquiat was a pop icon who started as a graffiti artist and died from a heroin overdose at just 27. By that stage, he had become one of the most celebrated artists of his generation, with his reputation only burnished by his close relationship with Andy Warhol. The latest Artprice report found that the American artist’s work had sold at auction for a total of €79.9m between July 2011 and June this year, more than double his nearest rival contemporary, Chinese artist Fanzhi Zeng. Basquiat ran away from home at the age of 15, sleeping rough for a week. After he dropped out of school, his father kicked him out of home, and he lived with friends making money by selling t-shirts and postcards. His graffiti got him noticed and by 1981 he had become known as an artist. These days he remains a popular cultural cornerstone, collected by stars including Leonardo DiCaprio and Madonna, and referenced by rappers including Jay-Z and Kanye West. To mark his popularity, this year one of his works, Untitled from 1981, broke records for the artist, selling for €14.3m at Christie’s in London. 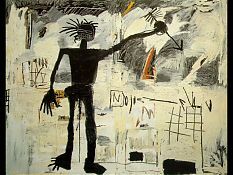 Basquiat was the subject of a 1996 film directed by the artist Julian Schnabel, and a documentary subtitled The Radiant Child in 2010 . While the global contemporary art market failed to match the record year from July 2010 to June 2011, the 6 per cent decline to €860m was “nothing alarming” Mr Bremond said. Artprice compiled the top 500 contemporary artists on the sales of the work during the period. Only 25 were British, although Damien Hirst’s work sold for €21.3m over the same period, moving him to the fourth highest up from ninth a year earlier. The report showed China’s rise in the contemporary art market to the largest in the world. Asia accounted for 43 per cent of auction revenue, with just under 30 per cent from Europe and 26 per cent in the US. Artprice defined contemporary artists as those born after 1945.